Are you looking forward to hanging up your holiday lights this year? Most of the time when we asked people this question their face turns green and they look sick. No one is looking forward to climbing into their dusty attic, searching endlessly for that box of Christmas lights and untangling a massive wad of holiday goodness. In fact you’re not even sure if your Christmas lights from you last year still work. Why not completely eliminate the stress of Christmas and let the Tulsa light professional contractors do the work for you. Call Green Leaf today to get started on hanging up your holiday lights this Christmas. You can reach us at 918 – 437 – 0333. 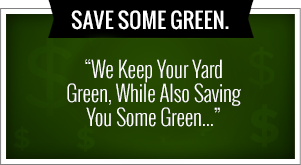 It’s true that Green Leaf is known for providing quality weed control, lawn care service, and quality landscaping. But when it comes to the holidays we completely change our tune and we are ready to help you eliminate the stress that generally comes with the holidays. When it comes to Tulsa holiday lights for your home, no one wants to climb up on that ladder and make sure that the lights are straight. That’s why we are here to help you at Green Leaf. We make sure to turn your home into the ideal Winter Wonderland and you are sure to impress your neighbors with the quality lights that we provide. How does it work? First you give our leading experts in lighting and hanging a call. Then we arrive on-site to give you an estimate on how much it’s going to cost to put up Tulsa holiday lights. We also make suggestions and give ideas on how to make this home really sparkle. We also partner with some of the most sought after experienced lighting technicians and designers so they can turn your home into the ultimate holiday escape. We save you time, money and we do a professional job every time. This is a win-win for everyone. We understand that Christmas is the most wonderful time of the year but it is also known as the busiest. We understand that you still have to purchase gifts, find a tree, make sure that tree fits through the door and book that hotel for your mother who’s flying in from Minnesota. You have 100 things to get done on your list and why not mark off holiday lights by hiring Green Leaf. We save you the time that you need and that could be spent purchasing that ideal gift for your significant other and for your family. Call the lighting professionals today or simply visit us online to find out more information. If you’re planning a holiday party we can also connect you with the experience party and lighting professionals that you been searching for. They are going to make your lights sparkle and it’s possible that your home could be seen from outer space. Make sure that you do this holiday right and eliminate the stress that comes with Christmas time. Green Leaf is known throughout the city of Tulsa for many things. 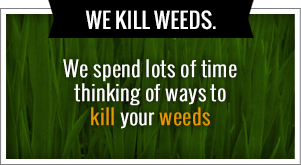 Landscaping, lawn care and the best weed control. But Tulsa holiday lights? How does that work? We believe in providing the customers with the ideal experience and professionalism that completely eliminates them having to hang up lights this season. We understand that no one is looking forward to climbing through their dusty attic and finding that box of lights that might not even work. If you’re not looking forward to climbing up on the ladder and hanging up your holiday lights this year, then contact Green Leaf today at 918 – 437 – 0333. Christmas is definitely the most wonderful time of the year. But it can also get busy and even be stressful. Everyone has so much to get done before December 25. You have to find the right tree, make sure it’s the right shape and you have to measure to make sure that fits through the door. You also have to purchase all those gifts for your friends, family and for your significant other. Fighting through a mall crowd can take many hours and you wonder where the time goes. Why not mark off hanging up your Tulsa holiday lights by hiring the lighting technicians here at Green Leaf. We save you so much time. There’s no reason to overstress this Christmas. When you hire Green Leaf we make things simple from start to finish. We always come to you. We arrive at your home and give you a free home estimate on what it’s going to cost to put up your lights. We talk with you, get your vision and make quality suggestions on how to make this home shine the brightest in the neighborhood. We also do measurement and we make sure that whatever you want you get. We also understand that most people are on a holiday budget and we want to stay within those parameters. What about holiday parties? We do those two. In fact Green Leaf has made it known that we are connected to some of the most experienced and creative lighting technicians that are also excellent at holiday party planning. These experienced party lighting professionals are the ones that you been searching for. They will also provide you with a free on-site lighting estimate. So what are you waiting for? Completely eliminate the stress this Christmas by thinking ahead and planning to hire Green Leaf to put up your lights. We understand that you don’t like the idea of climbing on your own roof and trying to get those lights to hang straight. We have the equipment, the professionalism and the creativity to put together an ideal holiday getaway in your very own home. Call us today and get started now.